Not long ago, I made my way into the Turkish Radio and Television Corporation (TRT) Istanbul studios to pay a visit to "Showcase," TRT World's flagship arts and culture program. Broadcast every weekday at 10:30 p.m., the program also has a "special review of the week" episode broadcast on Saturdays and Sundays. The show's presenter, Özlem İşiten, and producer Samed Karagöz seemed quite energetic that day, despite the hectic life they have had the past few months. "I flew from Los Angeles to Istanbul one Thursday night and we started filming the following day," İşiten told me during an interview last week. "I have been working at a production company in LA and had been flying to Istanbul for my dubbing jobs in Istanbul. I would spend a week here and go back to the States." But this routine changed when TRT World, Turkey's English language public broadcaster, aired "Showcase" after weeks of preparation. The program's crew is located in Istanbul and numerous other world cities, but İşiten needed to be in the Ulus studios, which serves as the show's headquarters. The show's presenter, Özlem İşiten (Left) and producer Samed Karagöz (Right) are quite energetic, despite their hectic life they have been leading in the past few months. "Our team has around 14 people," Karagöz told me. "Most members of our team are Turks who were educated abroad and are therefore fluent English speakers. The team's average age is below 30, which makes us a very young program. Our team prepares the content of our episodes two weeks beforehand. Since events are announced in advance, we can pre-plan and talk to people we want to invite weeks before their episodes air." Karagöz, a writer and critic, is an avid follower of the contemporary art scene and the book industry. A few weeks into his job at "Showcase," he learned the principles of making programs for an English language broadcaster. "For Turkish television channels, guest speakers talk for more than 20 minutes, whereas international broadcasters tend to have shorter segments. In TRT World news, guests tend to have two- or three-minute slots tops. Because we cover art, we can stretch that a bit and so we have up to six-minute segments." 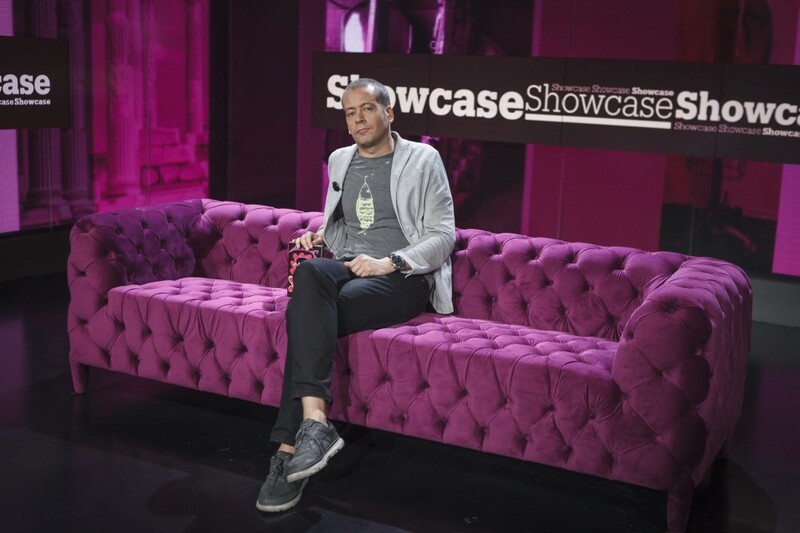 Kaya Genç paid a visit to "Showcase," TRT World's flagship arts and culture program. "To be honest, we have been learning how to do this program in the process of producing it," İşiten said. "Our program is produced in such a way that we never rely solely on the guest's expertise. Our dedicated team covers news from different worlds of contemporary art, books, music albums, concerts, dance, photography, theater, cinema and traditional arts. We show equal attention to every different art. There is photography one day and classic arts on another day. A week later we run a segment on the Grammy Awards, which I find very interesting, because I used to host a music program in the past." "The focus of the show changes every day," Karagöz said. "I come from a literary background and I am a close follower of contemporary art. But I can't just focus on my own interests. We need to produce programs that speak to the mainstream, a show that can grab the attention of more people." He added: "Our running time will be increased to 26 minutes per episode. Each episode has five segments and each of those are generally around five minutes long." The team includes five producers who work as arts correspondents: Jayson Mansaray, a graduate of University of the Arts London who worked as an arts and culture reporter for Reuters before coming to TRT World in April; and Miranda Atty, who holds a master's degree in investigative journalism from City University London. They are joined by a team of freelancers who produce and send work from cities around the world. When Atty and Mansaray joined the team, their Turkish colleagues took them on a tour in Istanbul's cultural heartland, İstiklal Avenue. "Together we visited all the cultural institutions on İstiklal Avenue," Karagöz recalled. "Together we visited Aksanat and Arter. We walked all the way to Istanbul Modern. Özlem and I know Istanbul pretty well and what seems normal to us fascinated our foreign correspondents. Jason was attracted to the geometric shapes in Islamic architecture. He wants to produce a package for the program where he links this phenomenon to the works of M.C. Escher. There are other things like the bird houses in mosques that similarly intrigue them." İşiten is aware that she has a global audience. "My friends from Norway watch the program and send me encouraging messages," she said. "Colleagues call me from Los Angeles to say they are watching me live." Lately, İşiten has been receiving encouraging comments on social media. "On Instagram, people write things like: 'We are so proud of you, you are doing great things!' They say they are proud of watching a Turkish presenter on TRT World." At the time, Alican Ayanlar and İşiten are the only Turkish presenters on the channel. Karagöz said only one-third of "Showcase" guests are Turkish. "We also invite foreigners living in Istanbul quite frequently," he said. "We also take advantage of having studios abroad. So when there is a new Edgar Degas show at MoMA, we connect to our New York studio and host our guests there. This way we can get the take of a critic living in New York, someone who had visited the show that day, instead of interpreting it here from our Ulus studios." How do Turkish guests speak on their show, I asked the team; are they comfortable speaking in English with them? "It is a scientific fact that people's tone of voice and gestures change when they speak in a foreign tongue," Karagöz said. "When we initially get in touch with them, we speak English. If they can talk to us in fluent English on the phone then we take that as a good sign. If they have a difficult time speaking English at that stage, then we know it may not work." "They are mostly quite good at speaking English," İşiten observed. "Our guests are almost always experts in their fields, so we have had no problems yet." İşiten's television career goes back 12 years, and she has spent two years presenting in English. "I feel more comfortable while presenting in English," she said. "I was raised in the Netherlands and England and I am used to speaking multiple languages. But my emotional language is English. When I read a book, for example, I can better connect to the text if it is in English."